Accommodating the disabilities of workers is a confusing process for many employers. Whether or not to modify workplace policies regarding drug testing and reasonable job accommodations is on the minds of HR professionals across the country. Why? Two words: Medical Marijuana. Marijuana may be the most commonly used illegal drug. The disparity between many state laws and federal law regarding the legal use of marijuana, also known as cannabis, is often a source of confusion for employers and employees alike. While marijuana remains a federally classified Schedule I drug, many state laws allow the use of medical or even recreational marijuana. 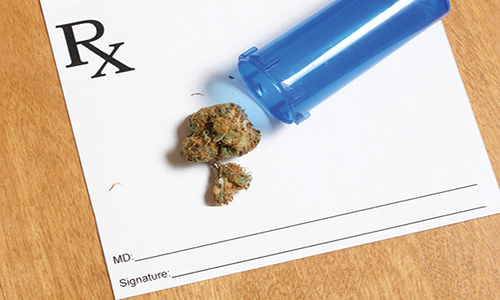 Medical marijuana employment law is an emerging, ever-changing topic employers must be willing to navigate carefully. In this webinar, we will uncover what rights employers have regarding drug testing and the enforcement of drug-free workplace policies when federal and state employment laws collide. With over half of the United States providing for some form of legal use of marijuana, determining whether to discharge an employee for a positive marijuana drug test or accommodate the worker under the ADA can be a tough call. Join us and learn what recent court cases have determined as you build policies and procedures in your organization. Employers, HR managers, Supervisors, Managers, Safety compliance officers and anyone else concerned with employment law administration.